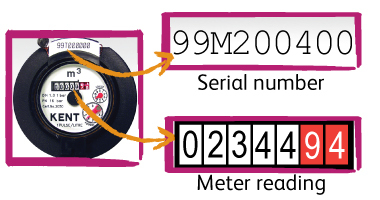 If your water meter is positioned outside and you're unsure whether you've located the correct one, please check that the meter serial number, displayed on your bill under the heading 'Meter number', matches the one shown on the meter. This is also highlighted in the following illustration. What numbers should I read? 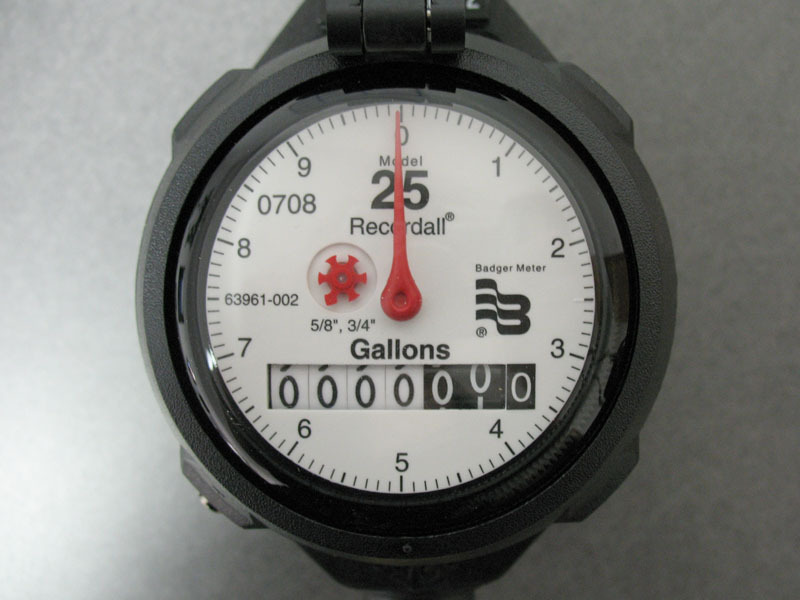 When reading your water meter, you only need to record the black numbers. 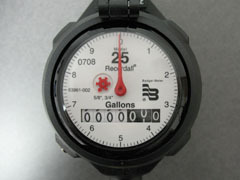 Depending on the type of meter, it may have four or five black numbers. You should ignore any numbers in red. The black numbers on the meter denote cubic metres used. The red numbers record tenths and hundredths of a cubic metre. We charge for every cubic metre, so please just note the black numbers.